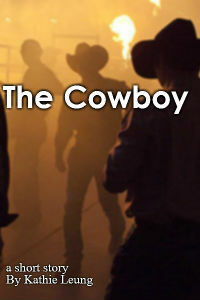 Children of the 70’s might recognize the theme of this fun little short story about a cowboy and his love. Inspired by Olivia Newton John’s Please, Mister, Please, our rugged cowboy fresh off the cattle drive is faced with a tough decision. You might want to take your copy to the local diner or watering hole, drop a quarter in the jukebox, press B-17, and order a whiskey. Oh, and this is yet another freebie, so enjoy! Woohwee, what a fun read The Cowboy was! Brought back memories of a lazy Saturday afternoon with ONJ playing on the radio, sipping lemonade, and contemplating life in all of its abundance as a young un. Very visual, very lovable. Thank you for sharing this story with us.